Michael D. Mulligan wrote a substantive article in Estate Planning detailing the proper structuring of a sale to an intentionally defective irrevocable trust (IDIT) for successful tax results. Mike's article, "Recent Cases Explore Tax Planning Strategy of Sale to an IDIT," identifies and examines four recent cases that have generated significant interest among estate planning commentators due to their impact on the sale to an IDIT strategy. Mike Mulligan is Co-chair of the Estate Planning Department of Lewis Rice. 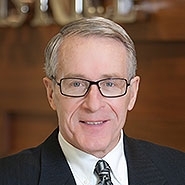 He is an originator of the estate planning strategy of sale to defective trust for an installment note, which is now widely used by estate planners nationally. Mike is a member of the Editorial Boards of Estate Planning and The Journal of Taxation and is a fellow of the American College of Trust and Estate Counsel.